The Barkery, a kitchen for dog treats, operated by students of the Capstone Academy, has completed installation of their equipment. They are now in the process of perfecting recipes, developing skills associated with measuring and mixing ingredients from their recipes and cooking the treats. The students are engaged in each stage of the Barkery’s efforts and are now completing their training and background screening. The samples of dog treats have been sent to the State laboratory for testing and once clearance is obtained, the sales of the treats in selected locations in Santa Rosa and Escambia Counties as well as the Capstone Pet Place Shop in Milton will begin. The remainder of the Sunday’s Child grant will be used to pay the student-employees once the treats are cleared for sale. It is anticipated that the sales will fund salaries beyond the Sunday’s Child grant. 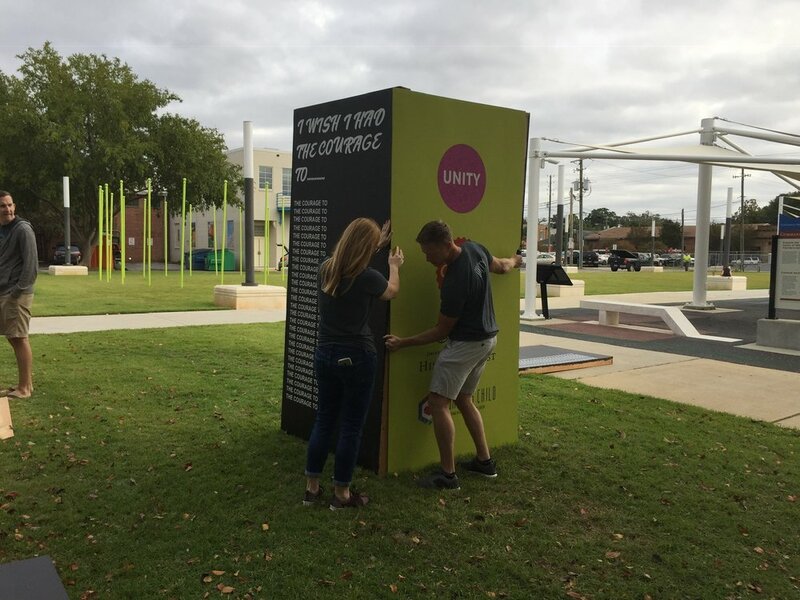 An interactive public art project created in response to the divisiveness and negative rhetoric in America. UNITY is a larger-than-life structure that celebrates our cultural uniqueness and strengthens our ties to each other. The project consists of 32 posts, each with identifiers such as, “I’m a parent; I’m a Veteran; I speak English as a second language; I identify as LGBTQ,” etc. 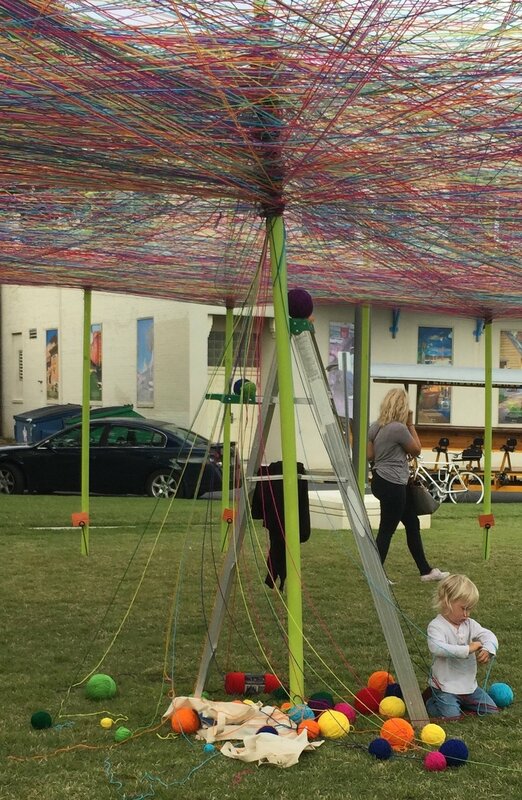 Participants tie colorful ribbons to posts that reflect their identities, with the ribbons eventually intertwined to create a web of interconnectedness. In the end, we see that we are all connected by something, and it’s our diversity that builds a strong and vibrant community. 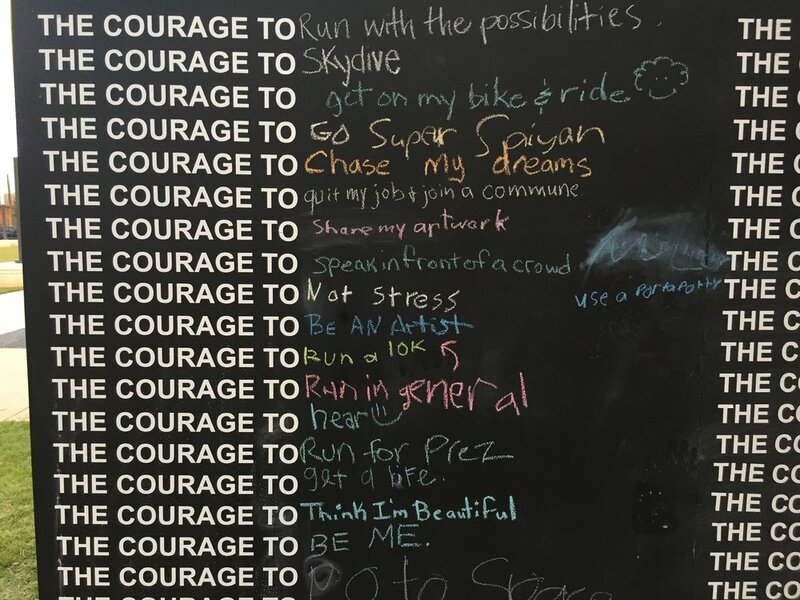 In addition to UNITY, the installation will include the “Courage Wall,” a larger-than-life chalk board that repeatedly reads, “I wish I had the courage to…” and allows visitors to complete the sentence and share their own unique stories. 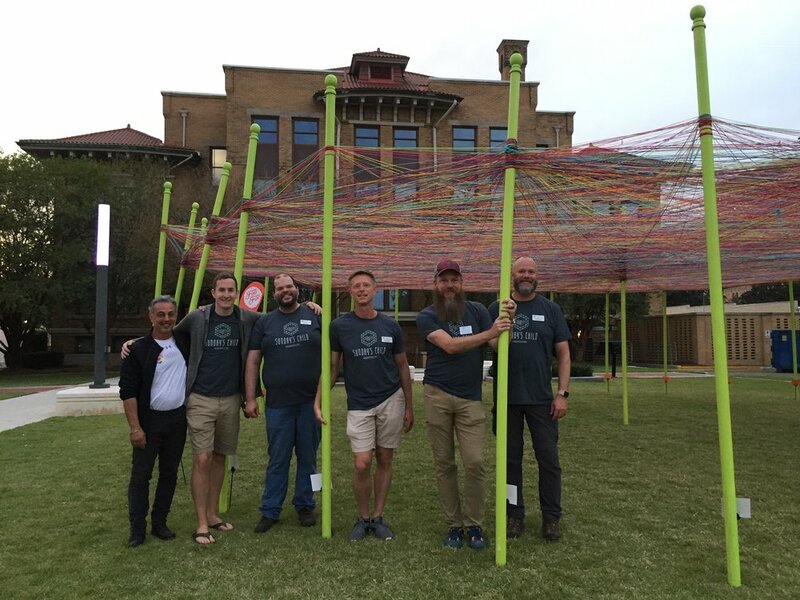 This public art gateway installation located in the heart of downtown Pensacola aims to highlight the unique characteristics of citizens and the story of our city through a welcoming public artwork installation by promoting diversity and the collecting and sharing of the stories of all Pensacolians. “We received good news today. We were successful in convincing the state to fund our mobile testing program. 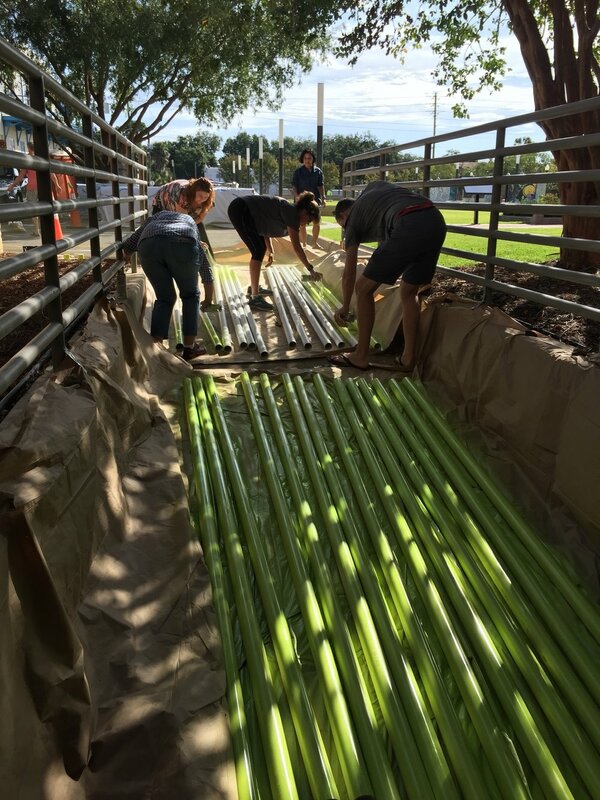 As of January 2019 the state will raise our funding by $61,000 a year guaranteed for the next three years. 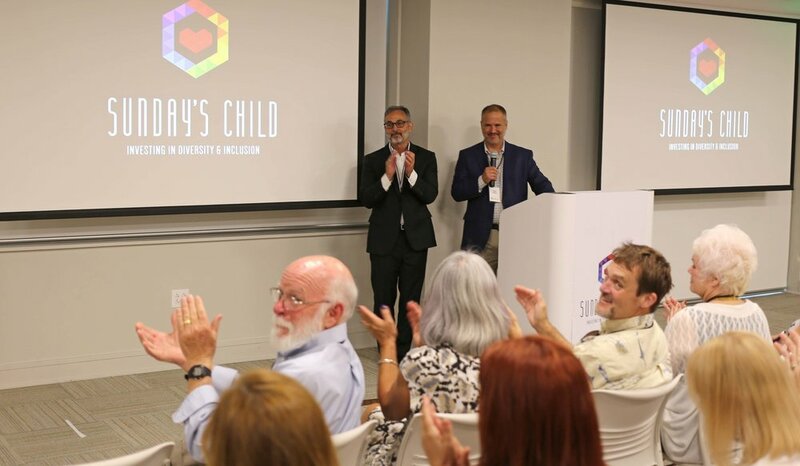 Sunday's Child, a Pensacola-area nonprofit which promotes LGBT inclusion and equality, has announced the completion of a record year in fundraising. Launched in 2014, Sunday's Child uses a model similar to Impact 100 — members pay $1,000 annually, with 100 percent of funds going toward grant awards, which are determined by the votes of members at an annual meeting. 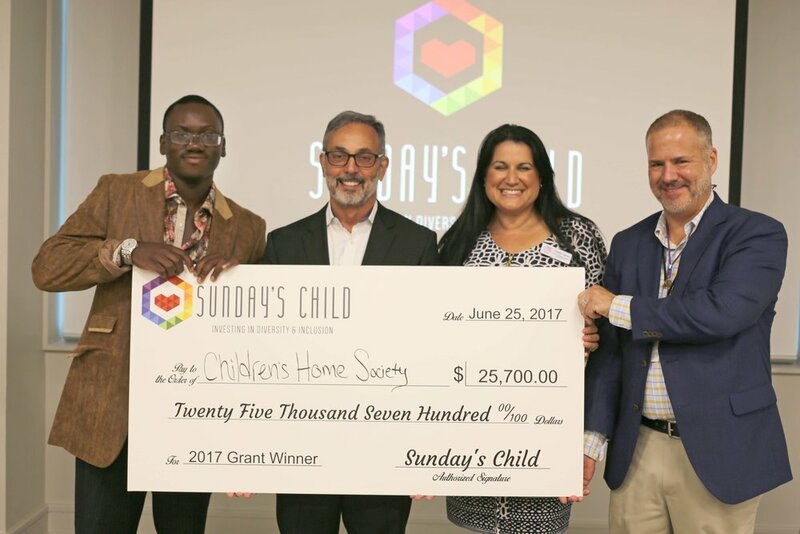 “This strong growth indicates that our model is working and that our community is growing in its understanding of the value of diversity and the importance of inclusion,” said Drew Buchanan, president of Sunday's Child. Sunday's Child is now accepting grant applications this spring, with four $25,000 grants to be awarded in June. This week, Sunday's Child also hosted a series of diversity workshops aimed to educate local employers, non-profits, and the community on understanding transgender dynamics in the workplace and community. During the free workshop sessions held at the Voices of Pensacola Multicultural Museum in downtown Pensacola, Gina related her personal experiences as a transgender woman to lessons and best practices for local employers in understanding gender identity and expression-related terms and identifying ways of making their workplace and community more inclusive. “We’re trying to build and promote a community that values the contributions of all citizens," said Buchanan. "Having Gina come to Northwest Florida to share her experiences and recognized best practices for workplace inclusion was invaluable. We're blessed to live in a country where we are born equal no matter what we look like or who we love and we truly believe that great communities are built around the diversity that unites us." It was my great honor to begin a term this month as President of the Board of Directors of Sunday’s Child. I’m thrilled to serve with Sunday’s Child as we kick off another successful year! Shortly after moving back to Northwest Florida in 2014, I discovered Sunday’sChild and the organization’s amazing mission — and was embraced by a new community. I was elected to the board in 2016 and have watched the incredible growth we have experienced in just four years — raising nearly a quarter of a million dollars for Pensacola Bay Area non-profits dedicated to promoting equality and inspiring inclusion. On behalf of the board, I’d also like to introduce our Vice President, Gary Rhodes. 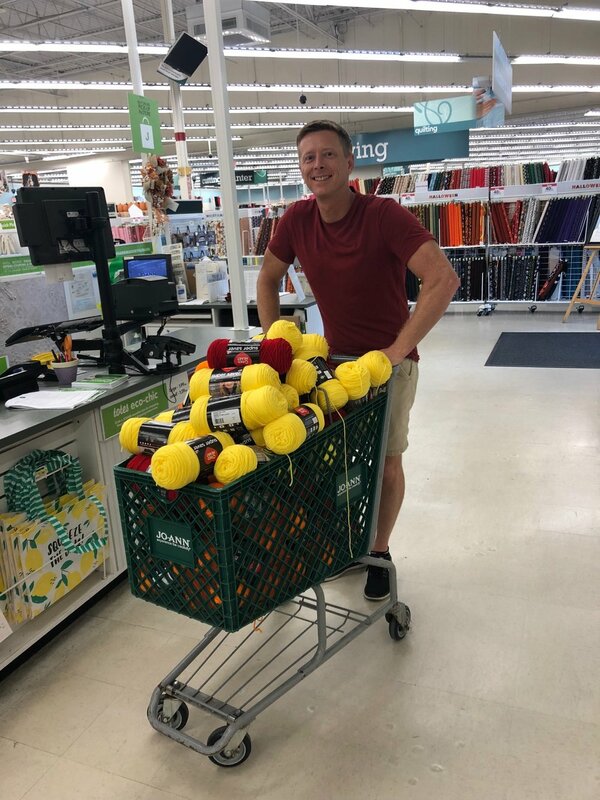 Gary has been a member of Sunday’s Child since 2014 and has been there along every step we’ve taken as an organization. I’m very grateful to have Gary lend his strengths and talents to the board. The board of Sunday’s Child is an esteemed group of 13 accomplished LGBT citizens and allies. Sunday's Child has no paid staff and is organized, maintained, and managed by volunteers. The board feels a calling to function as a best-practice board, representing the community and our dedicated members. To check out the full 2017 Board of Directors roster on our website, click here. It is a very exciting time to be in a leadership role with Sunday’s Child. An idea and mission conceived years ago has gained momentum, and there has been growth in every area of the organization. This year, we are already on track for a record membership season, allowing us to award even more grants to deserving organizations that promote diversity, inclusion, and equality. “Society grows great when old men plant trees whose shade they know they shall never sit in,” an unsigned Greek proverb states. The mission of Sunday’s Child — and the greater goal of equality for all citizens — is not one that will be accomplished overnight. Our vision is to see a fully accepting and inclusive community that embraces our LGBT citizens. As we continue to fulfill this goal in planting the roots of progress, we must also remember to not cut down trees that were intended for the next generation. My goal as board president is to keep us loyal to that vision. Thank you for sharing in our vision for equality in the Pensacola Bay Area. I can't wait for the opportunity to meet each and every one of you and to see what we will achieve together. After a rigorous review process, five Pensacola Bay Area non-profits have been awarded $128,500 in grant awards from Sunday's Child, a Pensacola Bay Area nonprofit that promotes LGBT acceptance and inclusion. The awards were announced after a live vote at the Pensacola philanthropic's third annual membership meeting held Sunday at Pensacola’s Community Maritime Park. The organizations that are recipients of $25,700 each are Manna Food Pantries, Independence for the Blind, Friends of Escambia County Animal Shelter, Pensacola United Methodist Community Ministries, and the Children’s Home Society of Florida. Launched in 2014, Sunday's Child is made up of members that donate $1,000 annually, which goes toward grant awards determined by the votes of members. The group places an emphasis on grants to nonprofit organizations and initiatives that place value on diversity, inclusion, and equality in the Pensacola Bay Area of Escambia and Santa Rosa counties. The five grants will go directly to the nonprofit recipients, funding a broad range of projects and activities. Manna’s winning proposal will fund the development and construction of a climate-controlled dry room within the organization's new headquarters and distribution facility. The room will be large enough to allow space for repackaging bulk items as well as storage for more than 30 pallets of dry food that is distributed weekly to nearly 900 families in the Pensacola Bay Area. Funding for the charitable grants comes from $1,000 contributions from individual and ensemble group memberships. 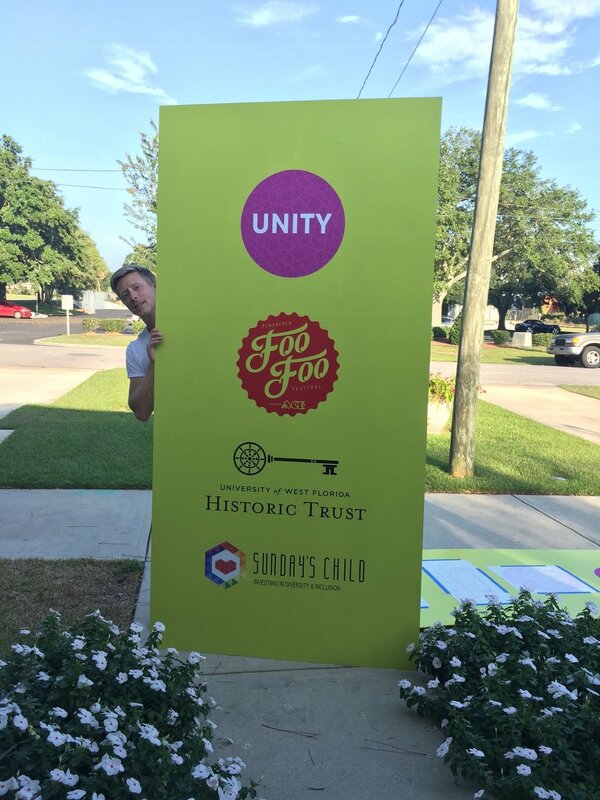 Sunday’s Child has grown to more than 150 members since its founding and with this year’s awards, the organization will have awarded more than $230,000 to Pensacola Bay Area non-profits since 2015. To see The Pulse's article "SUNDAY’S CHILD AWARDS $128,500 TO PENSACOLA AREA NONPROFITS," go here. To see Pensacola News Journal article Today's article "Sunday's Child awards $128,500 in grants to five nonprofits" go here. To see the In Weekly article "Investing in Pensacola's Progress," go here. Pensacola Bay Area non-profit Sunday’s Child will hold their third annual meeting at Pensacola’s Community Maritime Park at Maritime Place on Sunday, June 25 from 1:00 p.m. to 4:30 p.m. After a rigorous review process, eight non-profit finalists have been selected to present their projects to Sunday’s Child members. This year, four of the five categories have been awarded nominations: Animals and Environment: Friends of Escambia County Animal Shelter; Health, Wellness, and Recreation: Independence for the Blind, Pensacola United Methodist Community Ministries, and Manna Food Pantry; Arts, Culture, and Education: Pensacola Symphony Orchestra, Autism Pensacola, and the Pensacola Lighthouse Association; and LGBT and Family: Children’s Home Society of Florida. This year, Sunday’s Child members will hear each of these eight organizations present their projects at the annual meeting to award $128,500 designated to fund the five grants of $25,700 each. 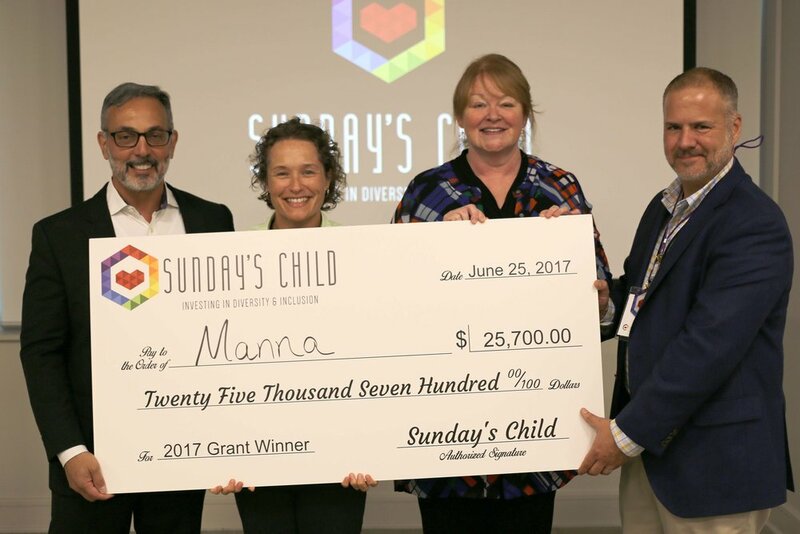 “We’re very excited for the projects that have been brought forth by our grant selection committees and are eager to hear from each of the finalists at our annual membership meeting,” said Chuck Presti, President and founding member of Sunday’s Child. On October 21, 2016, Sunday’s Child will unveil a new interactive art exhibit at the Pensacola Museum of Art at 407 South Jefferson Street. 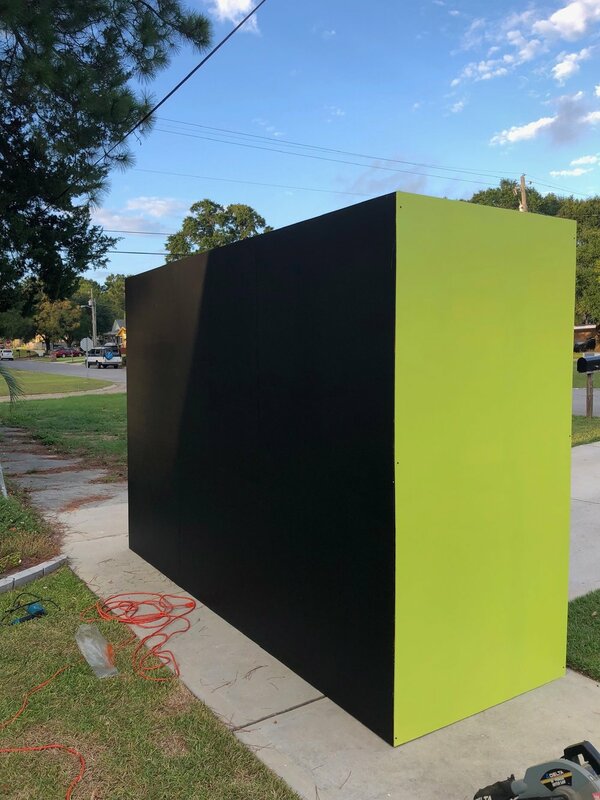 The exhibit will showcase Sunday’s Child’s ongoing 49: Connecting the Dots campaign, which seeks to honor the 49 victims of the Orlando shooting this past June. 49 is a series of authentic, candid portraits and stories of individuals in Santa Rosa and Escambia Counties in Northwest Florida, compiled to celebrate the full spectrum of local diversity. To see The Pulse's article "SUNDAY’S CHILD UNVEILS '49: CONNECTING THE DOTS' EXHIBIT AT THE MUSEUM OF ART," go here.